Marconi Coastal Station Keys. The Finest Straight Keys In The World ! Featuring a Marconi AS No300A Lighthouse Key and the Marconi PS No213A Key. Plus a Portishead Radio "GKA" key, and a Portpatrick Radio "GPK" key with Rare Cover. 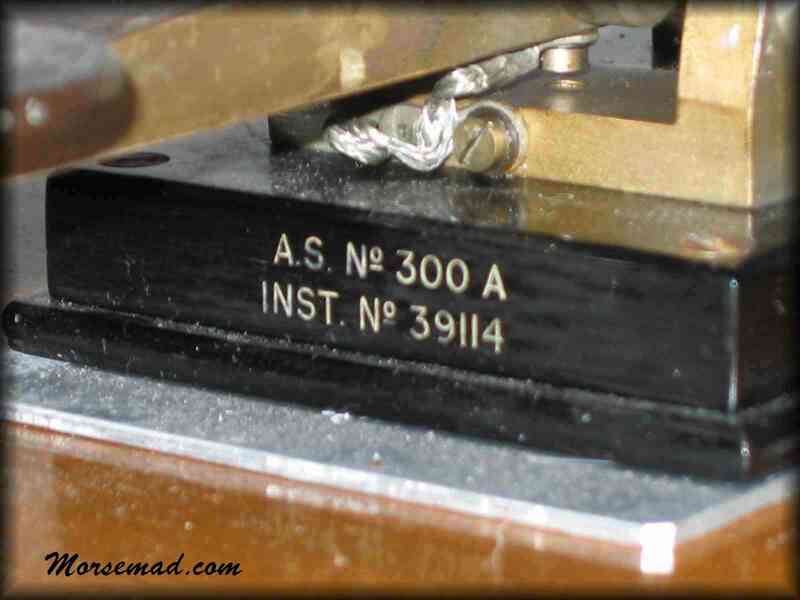 Marconi AS No 300A, INST No 39114. Produced in the 1920s by Marconi under contract to Trinity House, London, UK for use in Lighthouses and Lightships. This key is a rare one indeed ! Pretty well identical (but very much rarer - believed only 13 ever made) to the Radio Telegraphy Key model P.S. No.213A. P.S. (P.S. "Performance Specification"), and AS (?) are Marconi abreviations, and can be seen on various Marconi items, such as microphone part P.S. No.2251B. This very key was used as an emergency transmitting key at Flamborough Head Lighthouse up until the late 1950's. The knob & skirt are ebonite, the contact strip, clamped by two screws is 5/16" wide. The base measures 5 & 5/8" by 3". The short connecting wire from the arm to frame is of braded wire. Cheese head terminal screws are 2BA, the two small locking screws are 4BA and the overhead contact adjuster screw is 1/4" Dia BSF. "Wireless Beacon Transmitter Instructional Handbook". 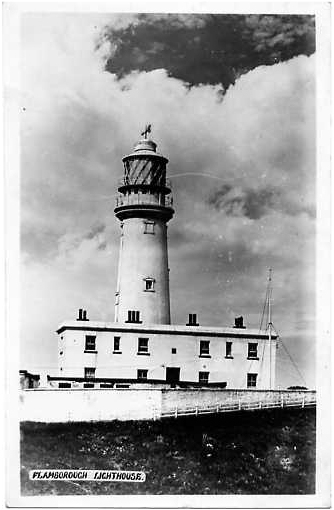 1926, Trinity House, that was issued to Station Code "FB" - Flamborough Head Lighthouse. Gives an insight into the operations of a Lighthouse in the 1920's. The Wireless Beacon Transmitters (WB2TX) were used in lighthouses and Lightships from the 1920's up to the late 50's, when they were scrapped and replaced by more modern equipment. The Marconi A.S. No300 In Action. Special thanks to Ronald Broadbent G3AAJ / ex Trinity House, for the key, book and information. Three keys are known to exist with collectors. Serial numbers 39059, 39113 & 39114. A black & white postcard picturing Flamborough Head Lighthouse in the 1920's. Dorchester Beam Radio Station (1927-1978) and the Marconi AS No300A morse key. Callsigns - GLH American Circuit. GLW South American circuit. George / G2DGB, ex employee at the Dorchester Beam Station, England tells me that the Marconi AS No300A model key was fitted on the control panel of the Marconi SWB1 / SWB10 Transmitters (SWB = Short Wave Beam) and used when tuning up the set after changing frequency (the sets were actually keyed by London Control). The "Z" code was used for orders in morse code - eg. ZAL = Alter Length (wavelength), ZTI = Transmitter Interuption, ZSU = Sigs Unreadable etc..
Information on Dorchester Beam Station from members of the South Dorset Amateur Radio club. Marconi PS 213A, INST No 448201. c 1922. (P.S. "Performance Specification" thanks to Mike / M0DVO). They were manufactured under contract by Marconi for the General Post Office, UK. Used by Radio Officers mainly on shore stations and usually screwed to the operating table, this one has brackets mounted on both sides for a secure installation. Others can be seen with an aluminium base plate extending under the knob for stability. The knob & skirt are ebonite, with insulation extending along the arm. The contact strip, clamped by two screws is 3/8" wide. The base has a matt black appearance (ebonite) and measures 5 & 5/8" by 3". The short connecting wire from the arm to frame is a flexible metal strip. As with the AS300A key the cheesehead terminal screws and the spring adjuster screw are 2BA, the two small locking screws are 4BA and the overhead contact adjuster screw is 1/4" Dia BSF. Mike Maguire / M0DVO visited the Marconi Archives at the Bodleian Library a while ago and found this :- "PS No213 - Key Manipulating, Large, Open Type - Drawing No.37404 - 31.10.22 - AS No.300" So this dates both the AS No300A and PS No213A keys from 1922 on. Note:- The "A" indicates the basic design, subsequent variations became "B" and so on. 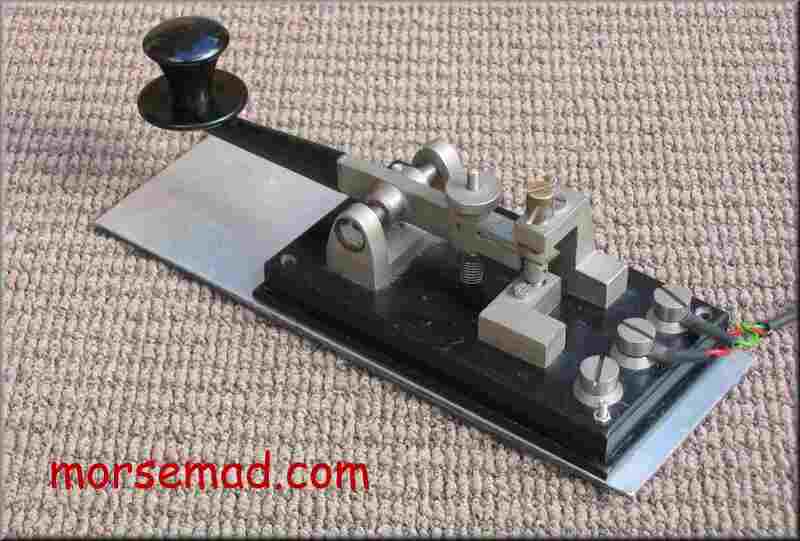 See one of these marvelous keys operated by Jim Garrison / N4EES (ex K5MSY). A Marconi P.S. No 213 In Action. Maritime Radio Stations Of The World. In the 1980's another batch of these type keys were manufactured in the GPO workshops, Rugby, England. They feature knurled head terminal nuts and nicknamed the Rugby Key, about 90 of these keys were made. A Marconi Key Used At Portishead Radio GKA. Marconi PS No213A, INST No 338495. This key was actually used at Portishead Radio "GKA" by Radio Officer Dai Birt / G3GIW and of course - many others. PORTISHEAD RADIO-GKA. THE WORLD'S PREMIER MARITIME RADIO COAST STATION. youtube video of Portishead Radio. GKA. I have a mine of invaluable information given to me by previous custodian of this key - R/O Dave Dawson / G0ELJ. 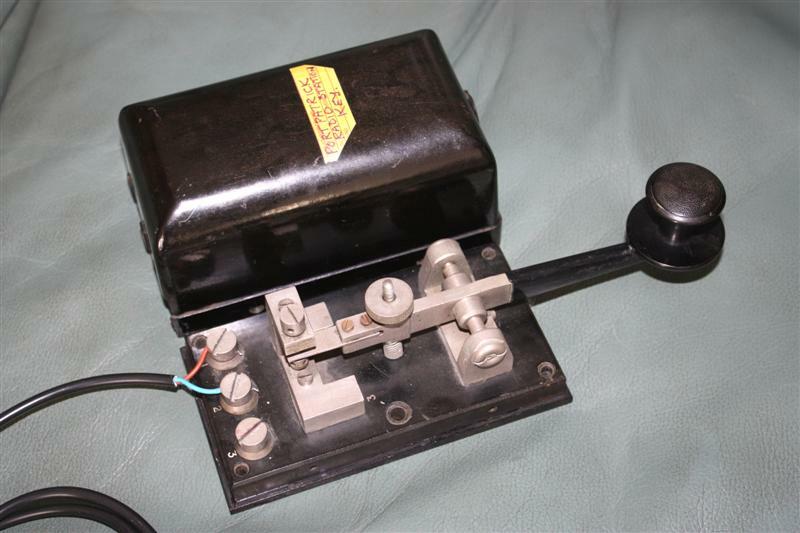 One interesting letter is from Phil Lewis (Operations Manager GKA until 1995) where he states "The key is one of the old morse keys used in A & C wings of Portishead Radio and installed in 1946. In approx 1950 the tongue of these keys (the springy strip with contact) was shortened and the rear frame turned around, this was done because the tongues were bending. These keys were taken out of service around 1983 and sold off to the staff". Ron Ayling G3YUH has made a wonderful replica of one of these keys. A Marconi PS 213A Used At Portpatrick Radio GPK Complete With Very Rare Cover. Marconi PS 213A, INST No 448233. 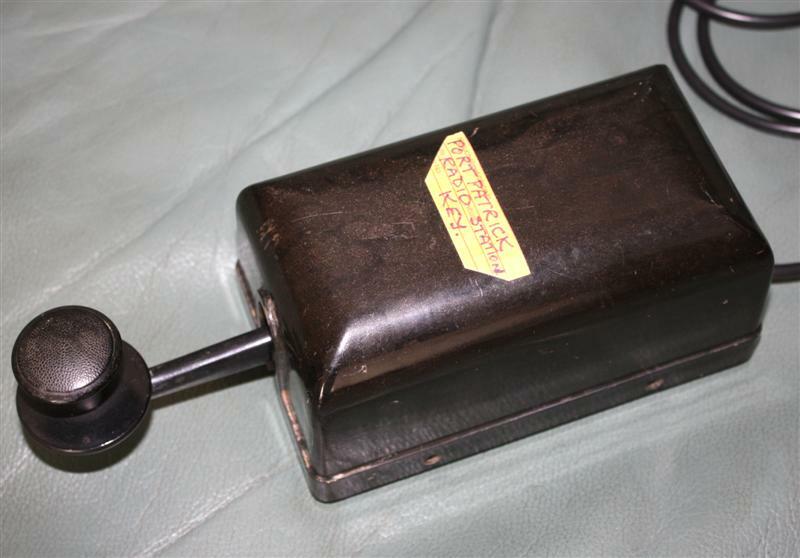 This key was used at Portpatrick Radio Station "GPK" and has the very rare bakelite cover. CW transmissions from Portpatrick ceased on 31st Dec 1997. The final CW transmissions from GPK were broadcast by Graham Mercer [GM4BES], with the ‘final-final’ being between Graham at GPK and David Nancarrow [G3RID] at GLD (Lands End Radio)! This is only the second PS 213A key that I have ever seen with the cover. Made of bakelite and held in place with two screws each side of the drilled and tapped base, I assume this was a probably costly optional extra. RO Ian Hopkins / G4WUH sent me this link to "Wray College Promotional Video" with snippets of Portpatrick Radio and MV Atlantic Conveyor (GZMM). 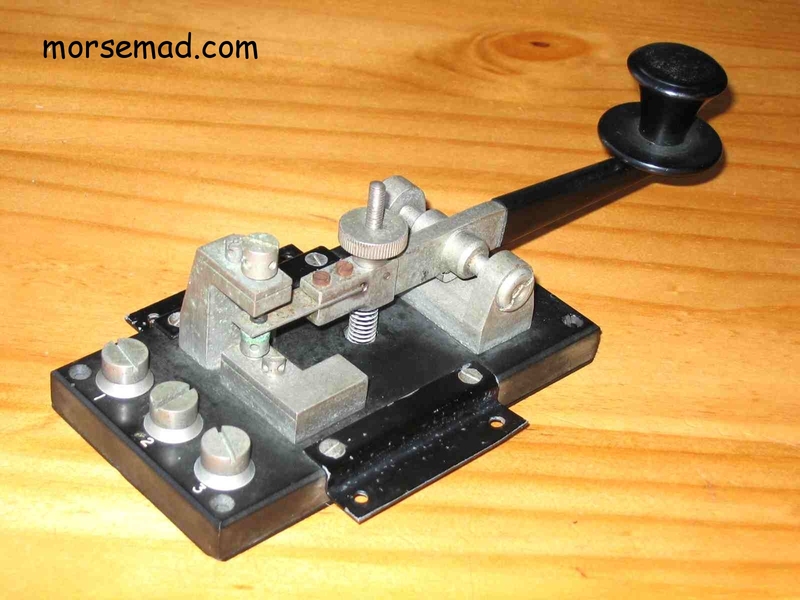 CLOSURE OF THE 500kHz MORSE TELEGRAPHY SERVICE. 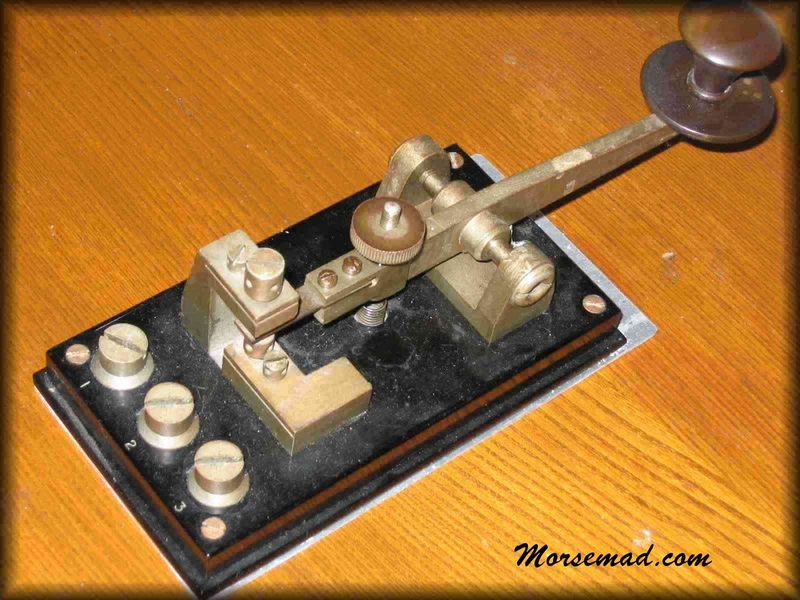 1920’s – Marconi AS No300A keys supplied to Trinity House lighthouses & Marconi Beam Radio Stations. 1926 + Marconi PS No213A keys made for coast stations around the UK and Worldwide, with slotted head bearing retaining screws and three cheese head 2BA terminal screws. 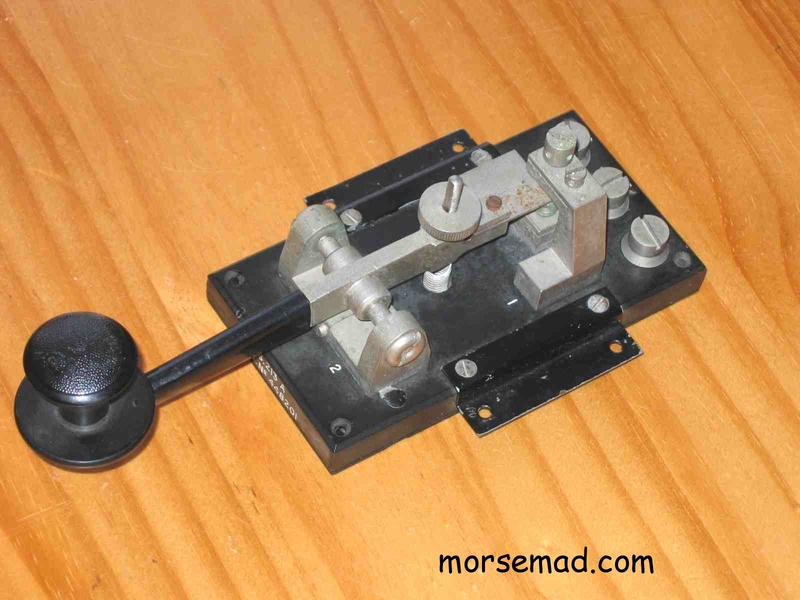 1946 – Marconi PS No213A keys introduced with Circlip bearing retainers. 1950 – Portishead GKA Radio modified their keys, shortening the contact strip and turning pillars 180 deg. Nicknamed the “Portishead Mod”. 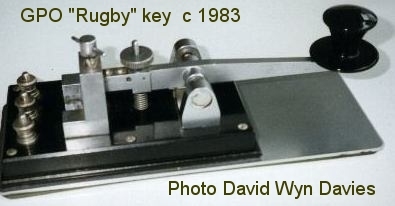 1983 – Replacements made in GPO workshops Rugby, England, easily identified by their 3 smaller knurled head terminal nuts, rather than the large 2BA cheese head terminals of the earlier keys, these nicknamed the Rugby key. The older keys were taken out of service and sold to members of staff. Note the three small terminals, the "Portishead" style shortened contact strip etc., and six base mounting screws rather than the four of the Marconi keys. 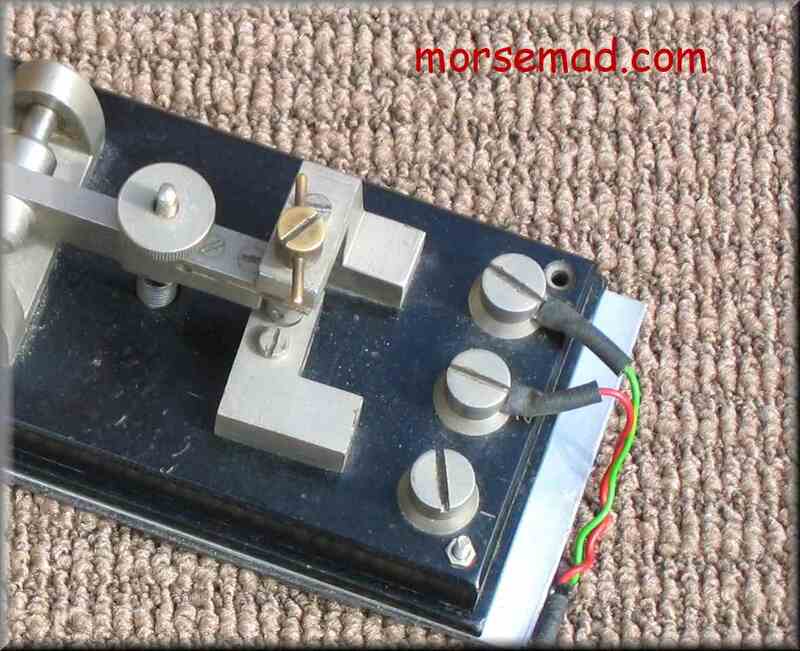 British Morse Keys. The Collection of the late David Wyn Davies.